We specialise in making a difference in the dental care of infants, children, adolescents and people with special needs. 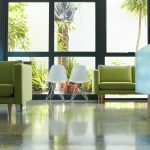 We employ techniques to ensure the treatment of our patients is performed in an environment that is calm and non threatening. Treatment will only be carried out on the first visit if there is a need for emergency care to reduce pain or infection. 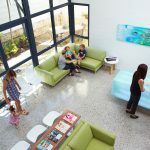 Welcome to iKids Paediatric Dental Care…..
Dr Timothy Johnston, with a highly experienced support Team have created iKids as a centre for advanced paediatric dentistry in North Fremantle. 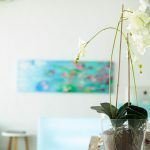 While our name and location is young, our experience and reputation is not. We know the children of the iGeneration are growing in a world where contemporary knowledge and the utilisation of technology is the norm, not the exception. We also appreciate the Parents of the iGeneration have similar expectations. It is with this understanding, the specialist team at iKids are dedicated to ensuring your child receives the highest quality of advanced and contemporary care in an environment comfortable for both Child and Parent. Dr Timothy Johnston has more than 20 years’ experience as a Specialist Paediatric Dentist. During this time he has held the Senior Registrar position at Princess Margaret Hospital for Children and the Coordinating Head position of the Department of Paediatric Dentistry at Perth Dental Hospital. He remains a Consultant Paediatric Dentist at the Princess Margaret Hospital for Children among other positions.